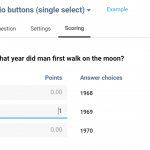 You can easily embed images in a survey with the CheckMarket Online Survey Tool. You can add images, logos, videos, sound fragments and other files. Simply import them in the media library or use a URL that refers to a file hosted on another website. You can only add media files to the question type Text / Media, or the introduction and Thank-you page. Add a Text / Media question type to the survey. Position the cursor where you wish to add the file. Click on the Media Manager icon . (1) from the media library: select a file from your CheckMarket media library. Use the search and filter options to quickly locate your image. (2) from URL: enter the URL where the file is hosted. If you do so, make sure that your own file is located on a secure domain. (3) upload new file: import a new file to your media library and select it automatically. Click on Save to add the question to your survey. Go to your survey Settings and click on Appearance. None: don’t use a banner..
Media library / URL: click on the looking glass or in the text field in order to select a banner from your media library, upload a banner to your media library or define a URL where your banner is located. If you decide to use your own URL make sure the banner is hosted on a secure domain. When you select this option you’ll be able to define the alignment or link your banner to your own website. Color: type in a color’s hexadecimal code or choose one from the color picker. If you select this option, a bar in the selected color will appear across the entire width of your survey. 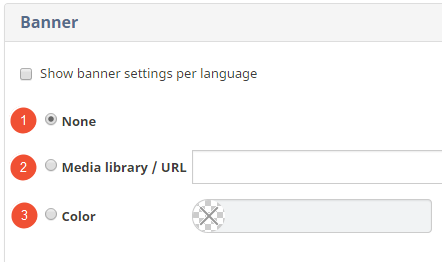 If you tick the box Show banner settings per language you can select a different banner for each language you have added to your survey. All of the above options are available per language. 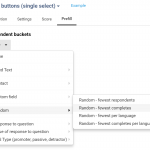 Align your banner left, right or center if it does not fit across the entire width of your survey. Optionally you can add a URL to the Link field. If respondents click your banner, they will be taken to this URL (for example your website). This banner will now be visible on all of your survey pages. Position the cursor where you wish to show the media file. We’ve made a suggestion with the image Your logo here. Click on the Media Manager icon in the email invitation. 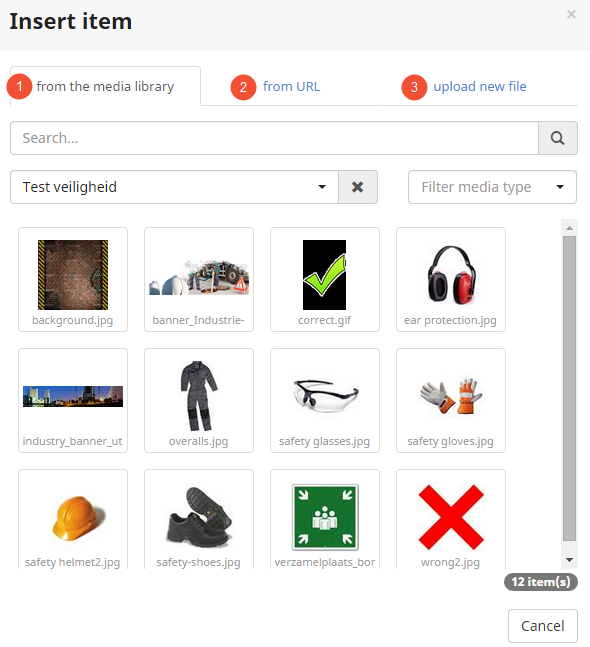 Select a media file from your CheckMarket media library. Click on New to import a new file to your media library and automatically select this file. Enter the URL where the file is hosted. If you decide to use your own URL make sure the banner is hosted on a secure domain. NEVER copy and paste an image into your invitation. The underlying HTML code will become too large and your invitation won’t be sent at all. 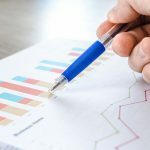 Can I add video content to my survey? How do I edit the email invitation?